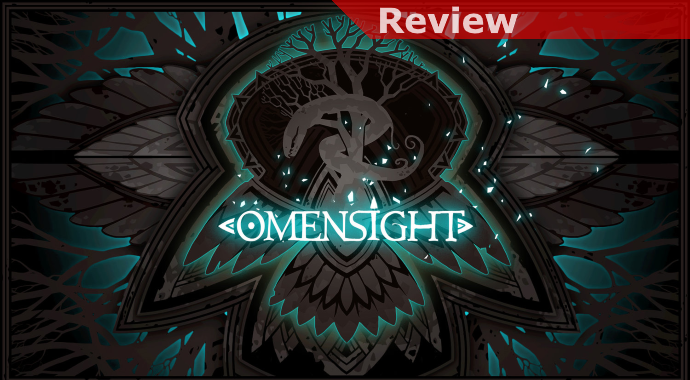 The Switch has got some great brawler/slashers out there that provide challenging combat but nothing to date has quite had the feel of Omensight. That’s because while the vast majority of games in the genre have been of the more classic 2D side-scrolling variety, while Omensight has opted for playing out in 3D. While this helps to make combat more interesting, and often exciting, it also adds some complications that aren’t all net positives. 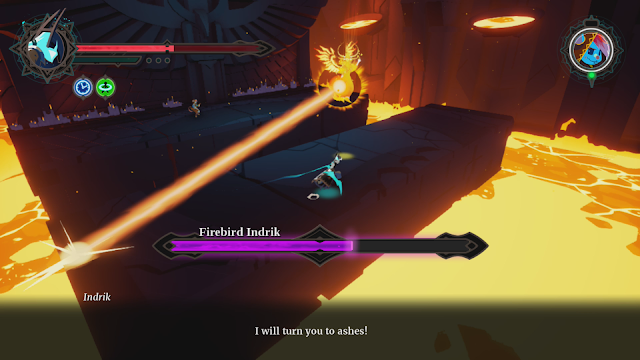 Mixing up this style of combat with a dash of Groundhog Day and a calamitous world-ending mystery to solve, Omensight manages to stand out as compelling despite its stumbles. You’ll play the game as the Harbinger, summoned to the world of Urralia on the eve of its destruction. Tasked with fully understanding the chain of events to lead to this event, your goal is to work out the means to save it. This will have you pairing with a handful of key players in the world, accompanying them through their day to gain insights and the power to unlock new areas. 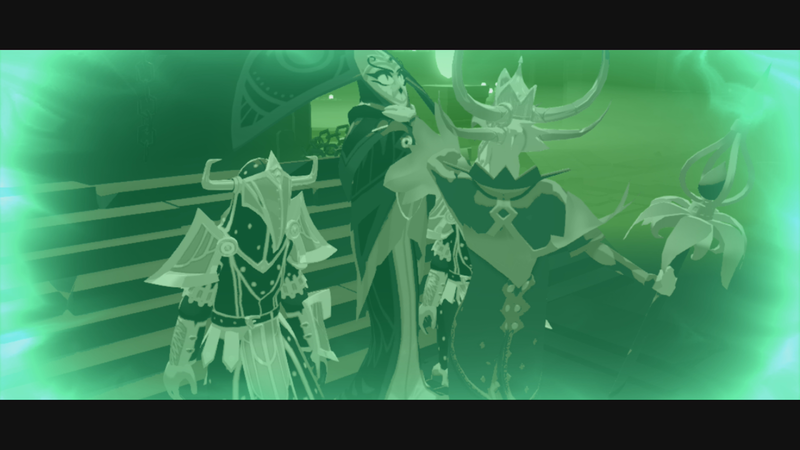 What you’ll soon find is that pretty well everyone has secrets and a part to play, and that the events that lead to the world’s destruction weren’t as clear cut as they seem to be initially. Overall, the story is brought together by a fair amount of intrigue and reinforced by some great voice acting. In order to learn everything you may need to repeat a section but one great feature is an option to skip right back to a critical choice you made, a time-saver I really appreciated. 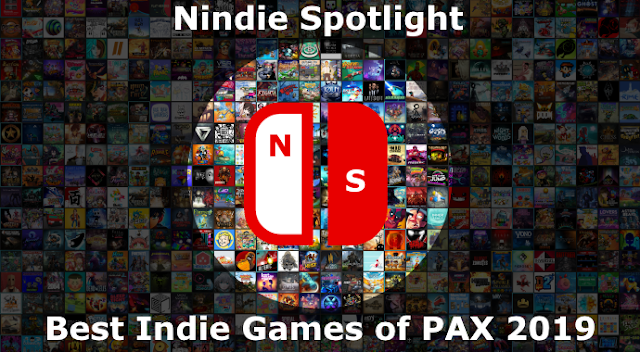 To go along with the pretty compelling story the emphasis on the game is very much combat, which continues to evolve over the course of the game as you acquire new abilities and invest in upgrading them in a variety of ways. 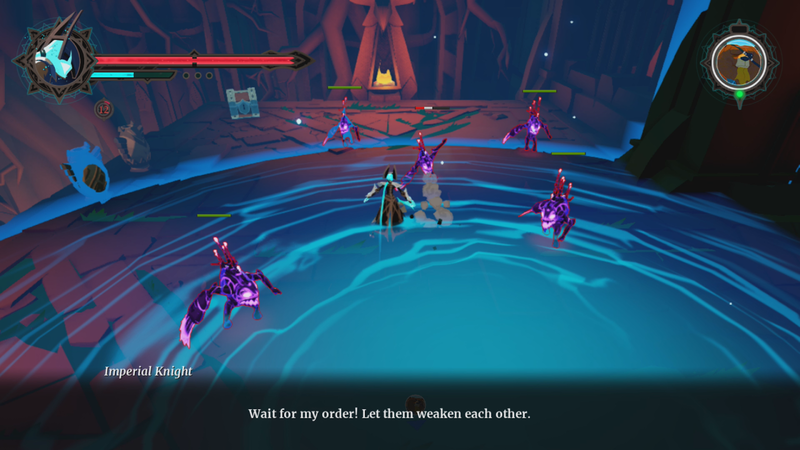 For people who’ve played games of this kind before most of the flow should feel familiar, you’ll need to move between enemies, keeping an eye out for people who are about to hit you, dodging, countering, and comboing it up as much as you’re able. Special abilities based on your companion and some powered-up skills can very much turn things around to your favor when it gets intense but in general since you earn more currency towards unlocks for consecutive attacks without being hit in general your focus should be on keeping moving and being smart. Where things struggle and aren’t quite as positive probably the main complaint would be the load times. While I’ve sat through worse they are very much noticeably long, and especially since they often hit in the middle of a mission they disrupt the flow and groove you may have been in. 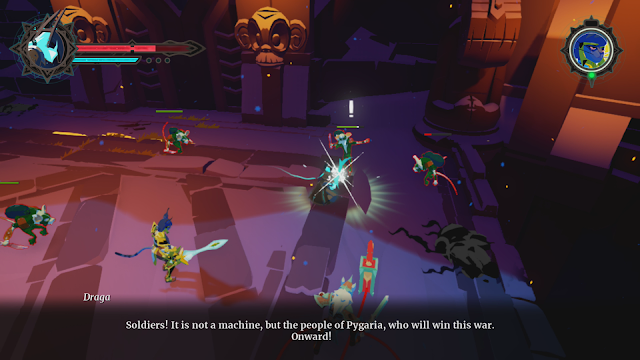 The camera, at times, can be another complication, it generally does a good job of staying on the action but there are sections and boss fights where it can work against you as well, though at least not so much so that it generally costs you a life. The last note concerns some platforming sections that crop up in a few places. While they compliment the story they’re a bit on the clunky side, though often they’re at least short.